Make it a meal! Serve alongside hearty pork chops and whole grain rolls. 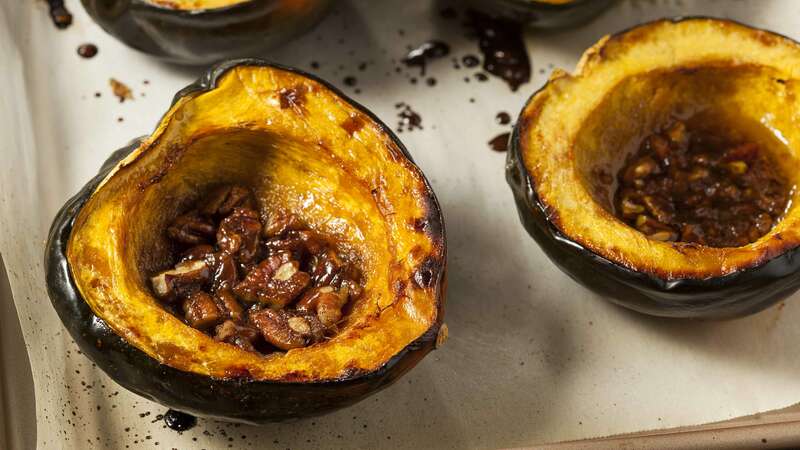 Cut acorn squash lengthwise into halves; do not remove seeds. Place cut side up in a shallow baking pan. Bake for 30 to 45 minutes or until soft. Remove seeds and fiber. Meanwhile, stir together honey, butter, walnuts, raisins and Worcestershire sauce. Spoon into squash and bake an additional 5 to 10 minutes.